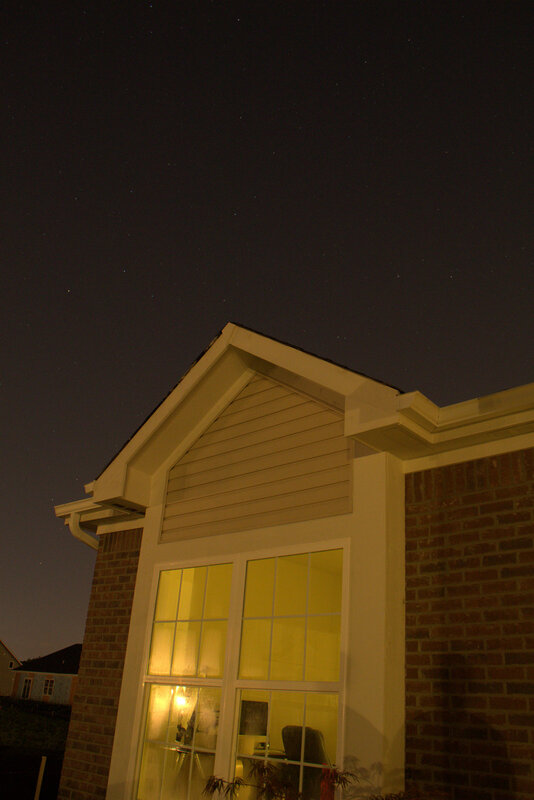 I finally busted out my camera and tripod and took advantage of my very own backyard patio to get a lay of the land for our local light pollution. 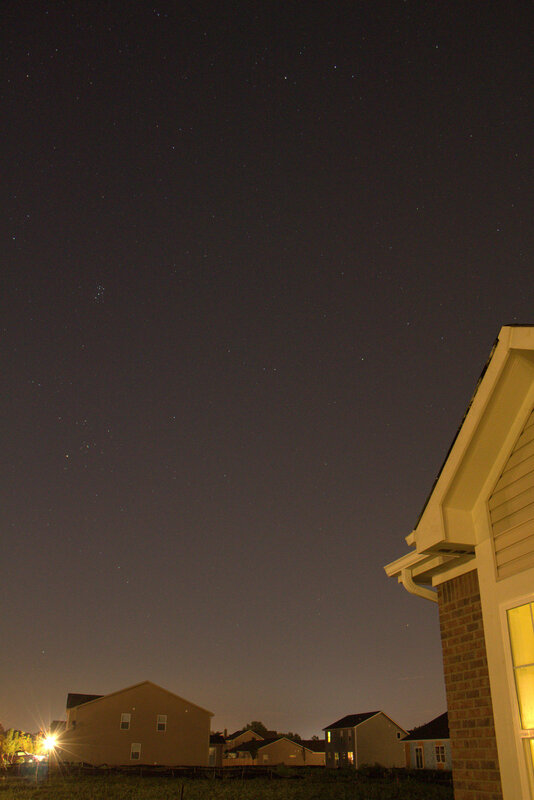 It was a little hazy, which was no good for stargazing, but perfect to amplify the light pollution. Below are some photos showing the general direction, current horizon line (will change with construction), light domes, and foreground objects. I'm lucky that my immediate neighbors on 3 sides so far are 1-story houses - whew! - I would hate to be boxed in on all sides by 2-stories.